This is an intro Indigo Shibori dye class from 12-4pm on Sunday, May 15. 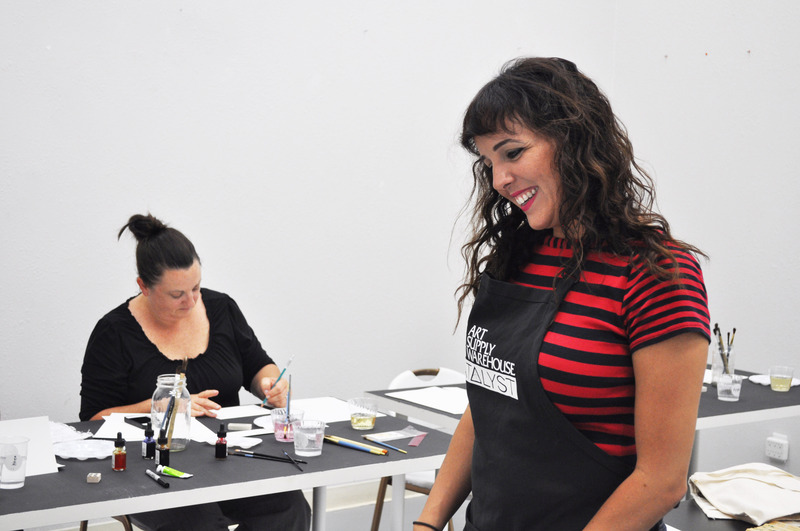 The class teaches the basic fundamentals of Shibori dye resist techniques and their interactions with indigo dye. Students often find themselves exploring more technical and challenging techniques as the class unfolds. Each student will be provided with 4 cut/sewn, 20inch x 20inch lightweight 100% cotton crepe cloths for dying. You may also bring 2 small/medium size personal items to dye. Please do not bring anything larger than pillowcases/t-shirts (ie. bed sheets/linens are too big). 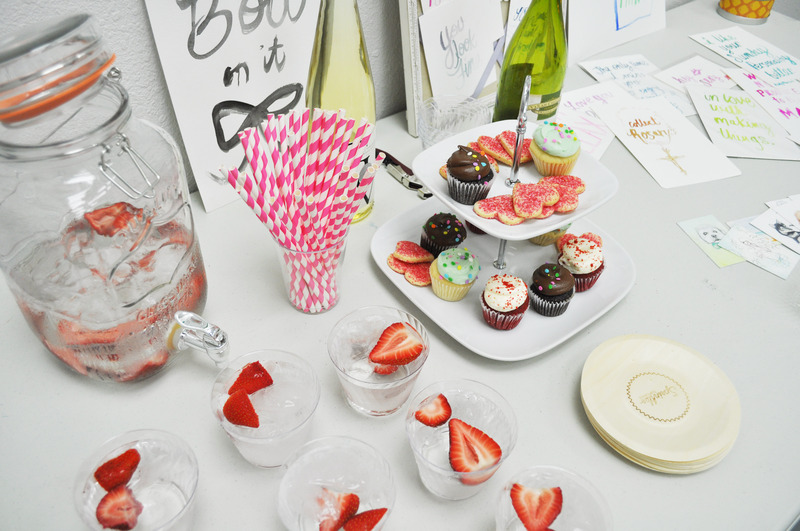 Snacks, drinks (water, mimosas, and juices), and great tunes will be provided. 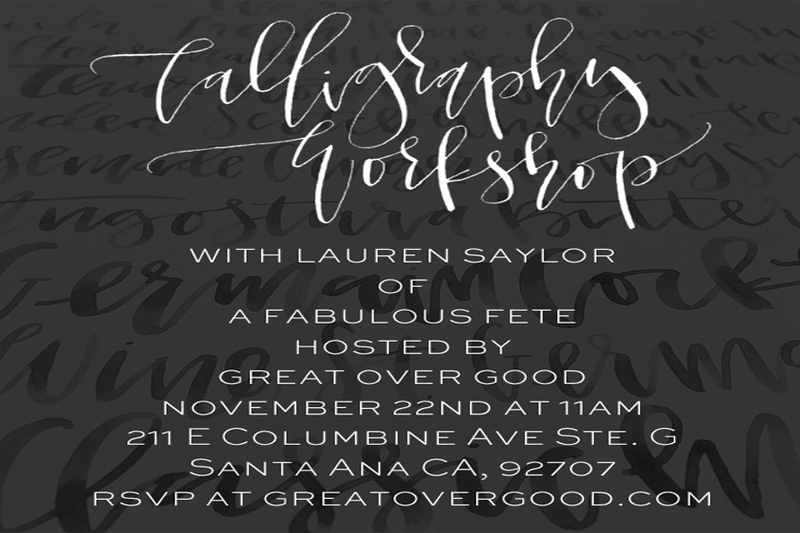 Class will be held at Great Over Good gallery space in Santa Ana, Ca. Exact address will be emailed upon reservation. Seats cannot be held as space is limited so apply now! Sign-Up and Details found below (you MUST sign-up to reserve a spot!) Can’t wait to see you! 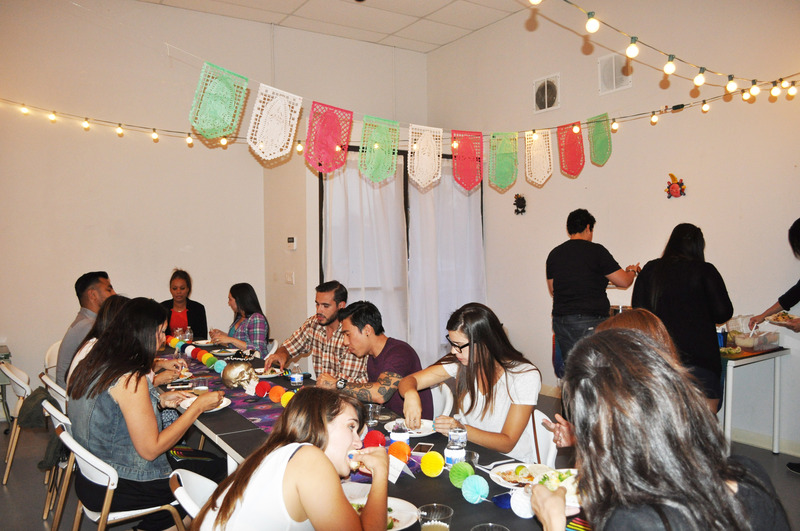 We’re super excited to be working with Amanda Nguyen of Feast Fashion Faves to bring you this fall’s Blogger Brunch. This brunch is full of all kinds of great stuff! We’ve got speakers, gift bags and pop-up shops. Yes, we said a pop-up shops! Exciting, right?! 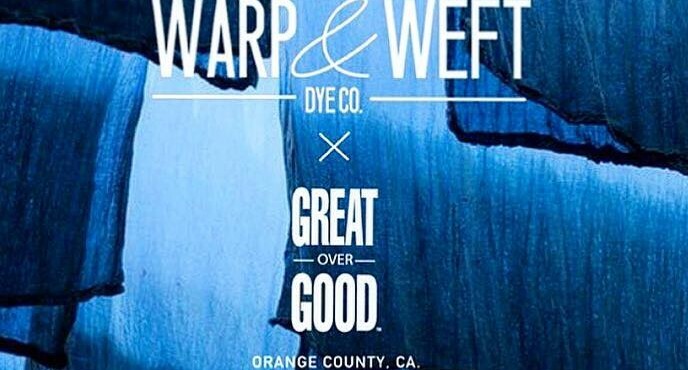 Our great friends over at The Oxford Trunk and Alixandra Collection will be setting up some of this fall’s hottest trends in apparel and accessories. Make sure you don’t leave your wallets at home – you just might find something you can’t live without! Want more? We’ve got some awesome VIP tickets for bloggers who are looking to take their blogger brunch experience to the next level. The VIP ticket awards you early entry into the brunch (10:00am), designated time to chat one-on-one with the speakers, and a photo-op. 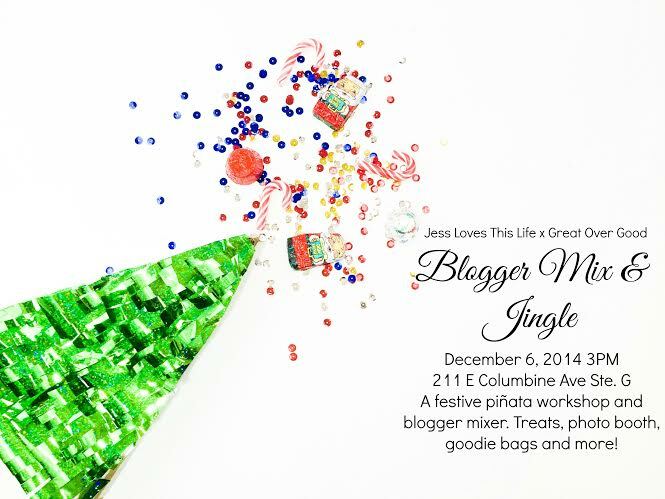 Plus, your gift bag will be loaded with extra goodies! This is going to be an awesome event, and we’re looking forward to seeing each and every one of you! 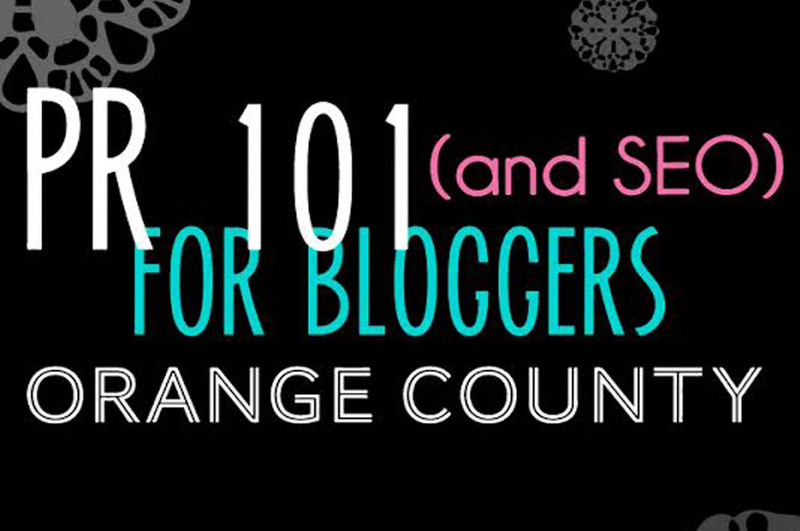 Calling all bloggers! 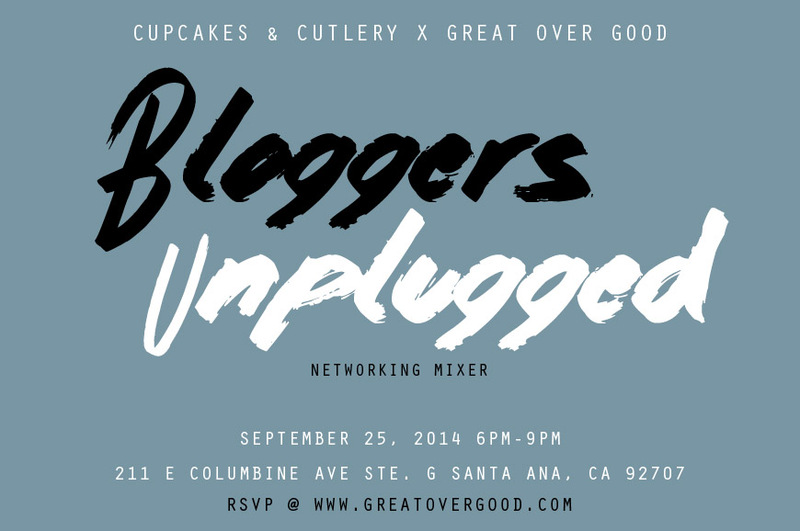 Great Over Good and Cupcakes & Cutlery have partnered up to bring you Bloggers Unplugged. 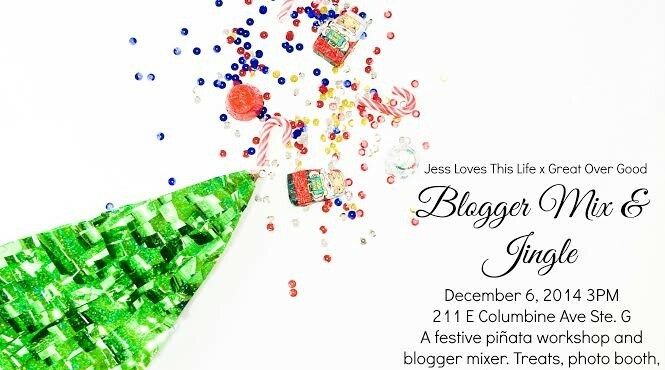 A networking mixer designed to help bloggers meet, connect, and hopefully collaborate. This is a FREE event, all you have to do is RSVP HERE! We’ll see you on the 25th! We are so excited to announce our newest event series: THE GREAT ONES. Join us for conversations with some of the most creative minds in the industry. 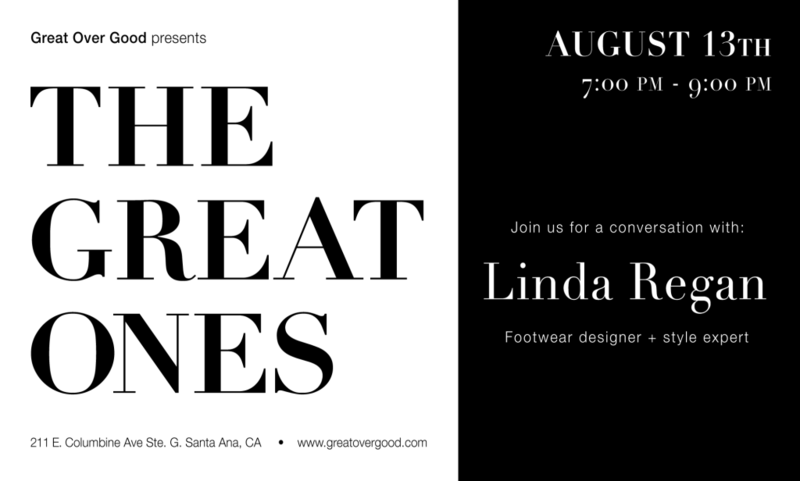 On August 13th meet creative director, footwear designer, and style expert Linda Regan. 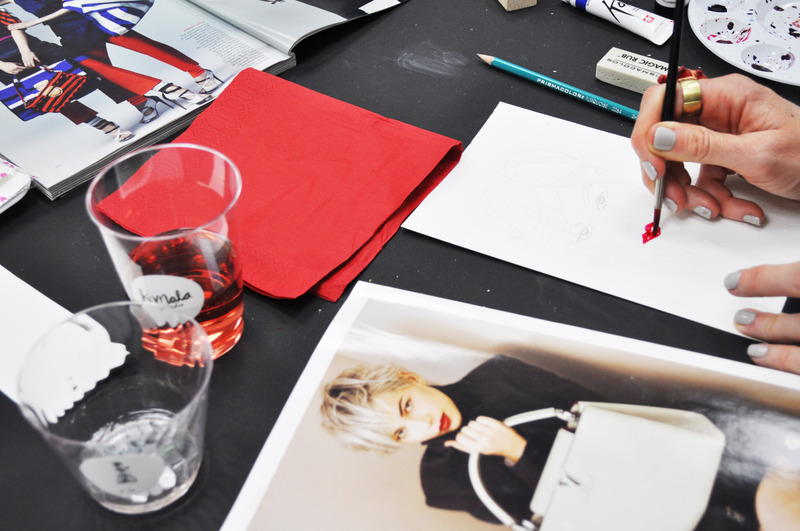 She will be discussing the ins and outs of the fashion industry, including design, production, and trend forecasting. Learn how to take your designs from sketch to the retail floor! Summers are filled with relaxation, barbecues, and of course water. But a summer is even better with watercolors! 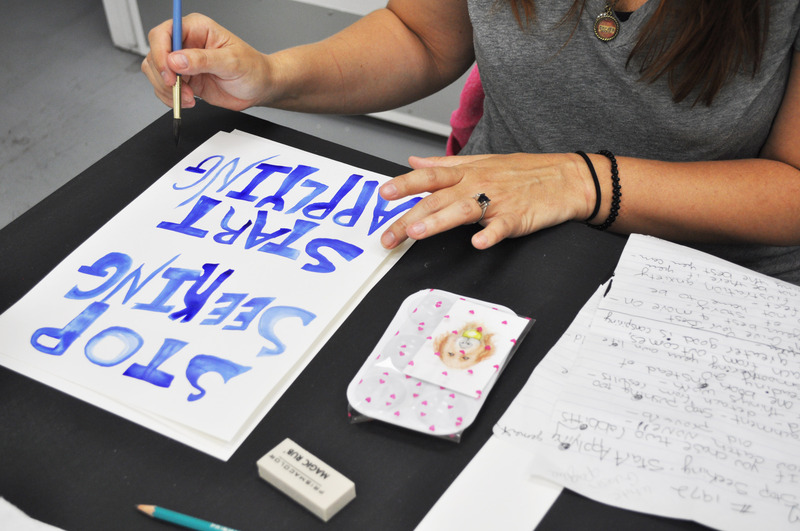 Kim from K.Mala Studio added art, fun times, and laughter to our summer. 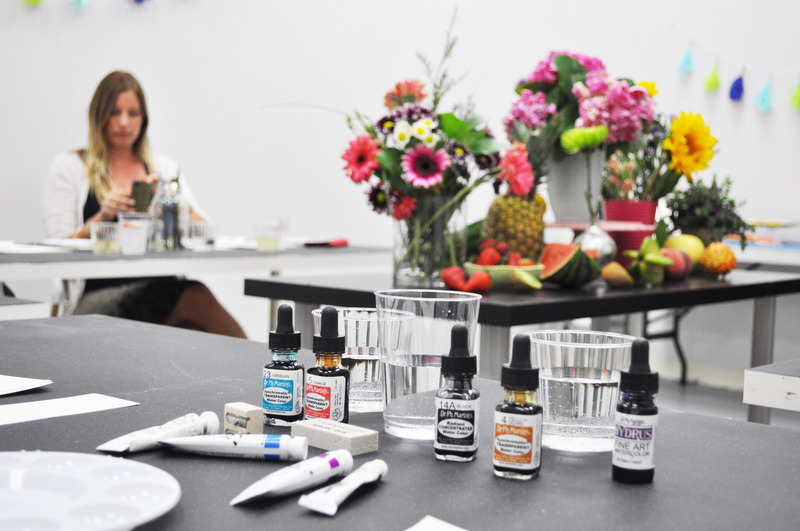 Thursday nights in June here at Great Over Good included Kim’s Watercolor Workshops in 4 different specialities: Fruits and Flowers, Fashion Illustration, Hand-lettering, and Wine and Watercolor. While each workshop was unique and geared toward the subject, they were all informational and most importantly incredibly fun! 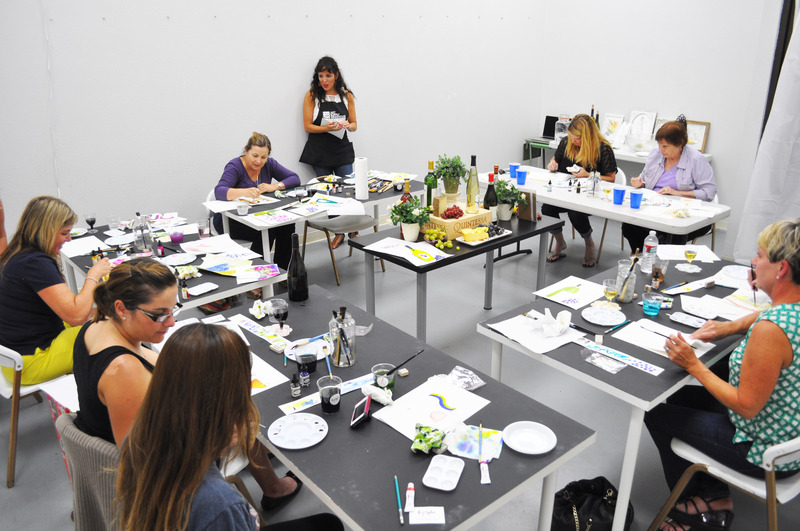 Teaching different brush techniques and composition tactics, Kim kept the workshops approachable for students of all levels. 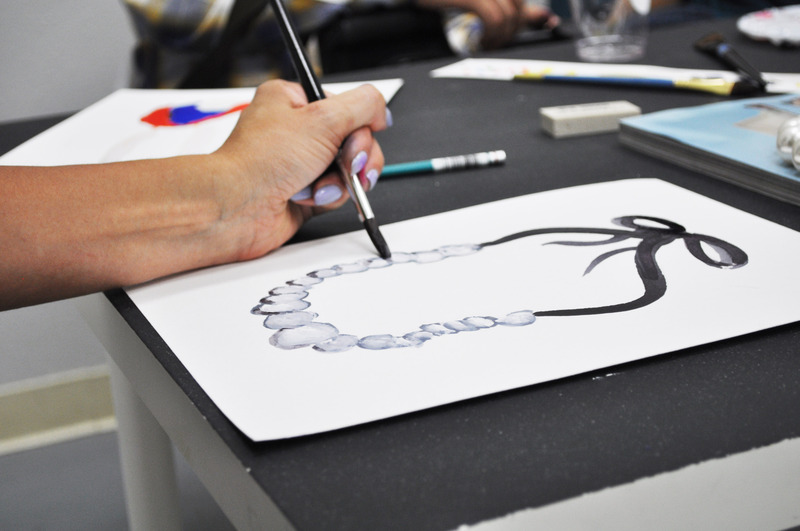 She also taught both realistic approaches and more abstract and whimsical ones so each student could work with their own style. 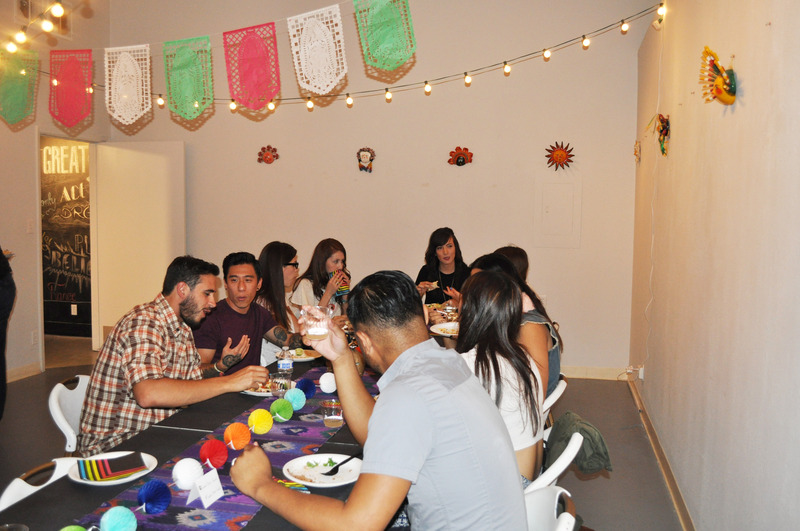 Last month we had the pleasure of hosting our first creative dinner. 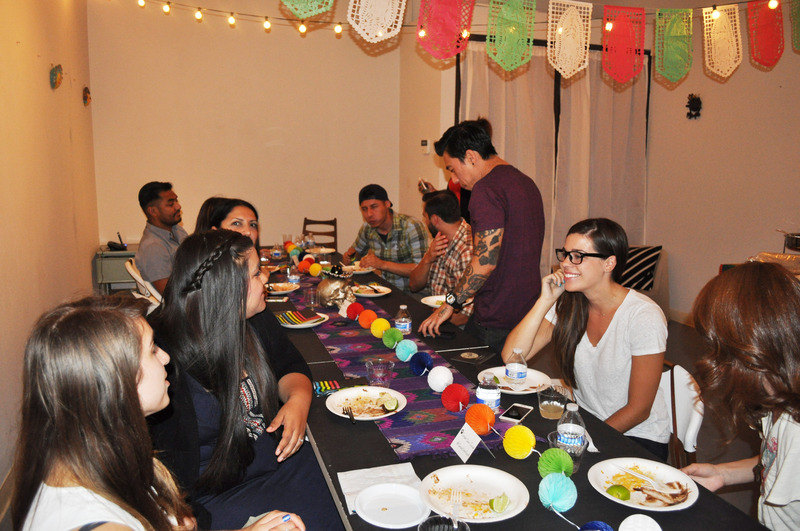 We invited fifteen creative thinkers to come eat, connect, and inspire one another. 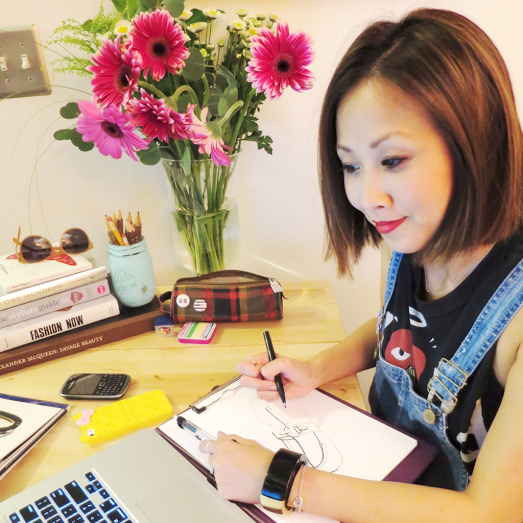 We talked about our struggles, successes, branding, networking, and everything in between. 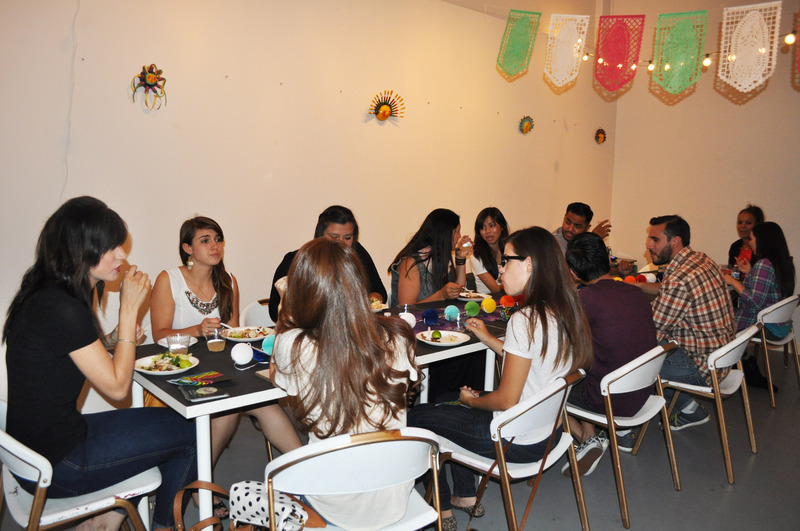 We were so grateful to have so many talented people at one table. 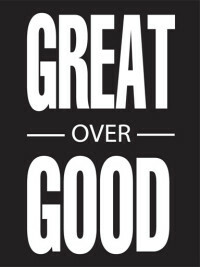 Bloggers Giving Back is presenting yet another great event here at Great Over Good! 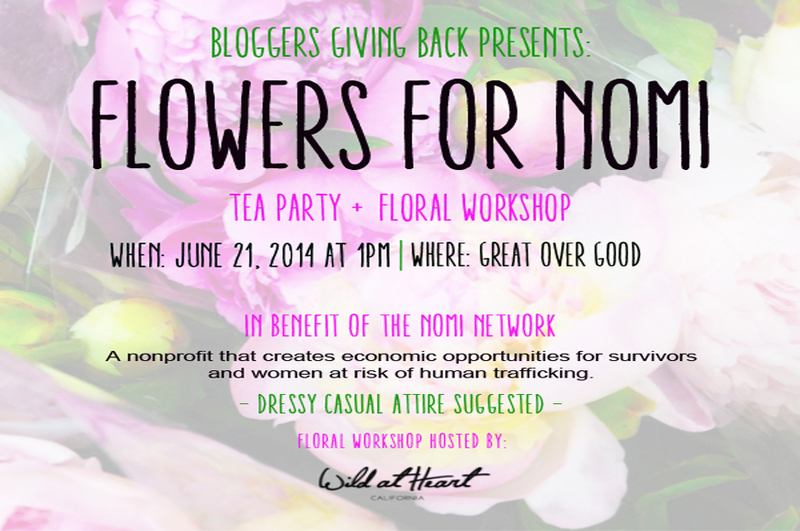 In benefit of the Nomi Network, we invite you to come drink tea and learn how to make flower crowns by the lovely and very talented Lauren Taylor of Wild at Heart, California. See you on June 21st!